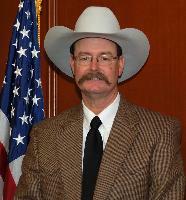 A native of Mustang, Oklahoma, Dave was born in Mustang in 1959 and graduated from Mustang High School in 1977. He and his wife Debby have been married since 1980. Their son Mark is married to wife Christin, and they have three children: HadLee, Tripp, and Tristin. Their daughter Charlotte is married to husband Jeff Teel and they have a daughter named Lilly.